It’s December 1! 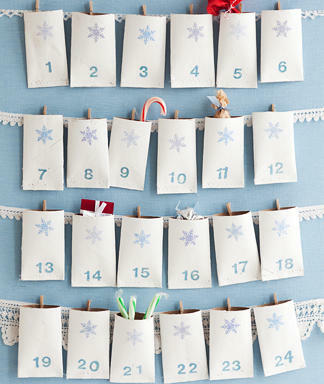 Have you thought about having an advent calendar? If not, you still have some time to pull one together. Here is a round-up of three do-it-yourself treat containers that will function perfectly and perk up your holiday decor! 1.) Toilet Paper Roll Calendar (via Woman’s Day): You heard me right: those pockets are made of toilet paper rolls that are strung across a ribbon. 2.) 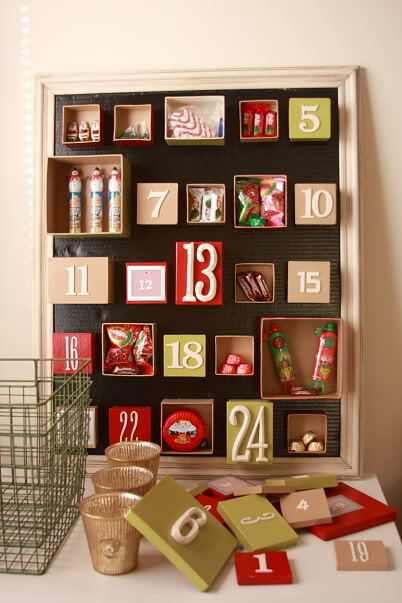 Beautiful Boxes (via The Painter Family): This is my kind of advent calendar — candy, candy and more candy! Though it looks elaborate, it appears to be simple boxes adhered to a large framed board! 3.) 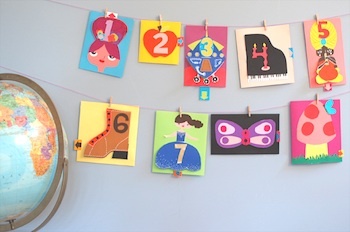 Kid-centric Advent Calendars (via the Crafty Crow): It isn’t cheating for me to point you to another round-up in my round-up right? I can’t commit myself to a single project featured in The Crafty Crow’s 2011 Advent Calendar Idea post, so I’ll just send you to read it for yourselves. It includes lots of paper crafts, and yet another toilet paper project! Enjoy! Still too much DIY-ing for you? If you have a Christmas tree, you can always wrap a single small gift and put it under the tree each day. To be 100% honest, I think this is the plan I’m going to follow. My little guy is still two so he is barely understanding the concept of Christmas, but he is fascinated by everything about the tree and I’d love to get him even MORE excited about it. What a fun month this is! ← Find of the Week: Midnight Mirrors!